A non-injury fire gutted a Santa Monica bar and restaurant today, along with some apartments above the eatery, authorities said ... Fire crews quickly doused most of the fire, which gutted the business and several apartments above the restaurant. 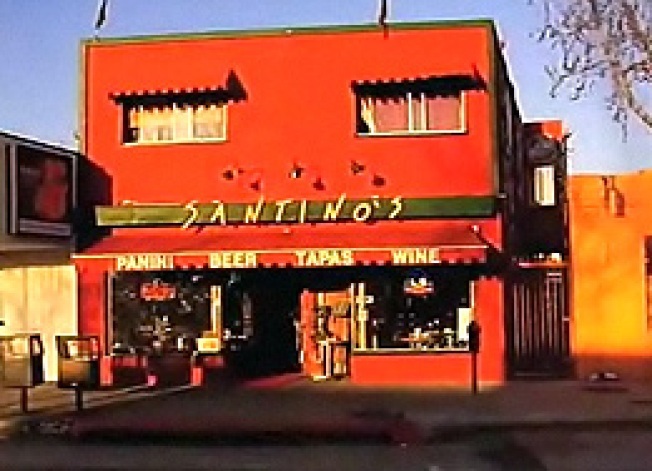 At this point, the cause of the fire is undetermined, as is the damage tally, but if early reports are accurate, Santino's should be down for quite some time. More info as it comes in.